On Friday Montana became the fifth Blackstone Launchpad region, joining Ohio, Michigan, Pennsylvania, and Florida. Blackstone LaunchPad is modeled after a successful program developed at the University of Miami in 2008, which has generated 1,413 business proposals, 210 new jobs, and drawn nearly 2,600 participants. Each new regional program will be linked together, drawing ideas and best practices from the existing programs, and giving student entrepreneurs at the University of Montana and Montana State University access to a national community of over 200,000 of their peers expert advisers for their ventures. The Blackstone Charitable Foundation’s three-year, $2 million grant will establish a partnership between Montana State University, the University of Montana, and Headwaters RC&D to introduce entrepreneurship as a viable career option and provide university students with a network of venture coaches and entrepreneurial support to transform new ideas into sustainable companies. With a physical presence at Montana State University and the University of Montana, Blackstone LaunchPad has the potential to generate some 150 new ventures in Montana over the next five years. “The Blackstone LaunchPad Program will allow students at Montana State University and the University of Montana to see real application of their ideas transformed into sustainable companies as they partner with local businesses. I look forward to the innovation and new ventures Montana will see in the coming years through Blackstone LaunchPad,” Montana Governor Steve Bullock said in a statement. This should come as no surprise to some as Montana was ranked #1 according to the latest Kauffman Foundation Index of Entrepreneurial Activity, which was released last month. Because of Montana’s natural resources, it’s become a hub of sorts to startups and small businesses. “Montana is a small business state – in fact nearly all of our workers are employed by businesses with fewer than 20 employees. That means Montana jobs rely on entrepreneurs, striking out on their own and building companies from the ground up. This new partnership will go a long way toward helping Montana entrepreneurs get new businesses off the ground so they can grow and create jobs.” Senator Max Bacus said in a statement. You can find out more about Blackstone here. Yes even startups from Montana come to this huge startup conference for startups everywhere else. When Big Bang Theory‘s Sheldon Cooper ran off to Bozeman Montana in an episode where his apartment had been broken into, he may have been onto something. Cooper very quickly abandoned the idea of staying in Bozeman, but according to the latest Kaufman Index of Entrepreneurial Activity, Montana is a hub of technology startup activity. 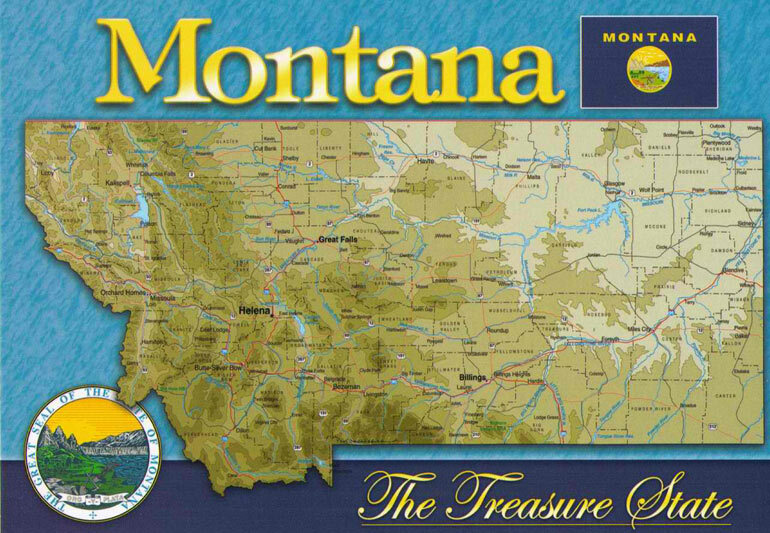 CNN Money reported on Monday that Montana topped the latest Kaufman report highlighting startup activity nationwide. In the previous year Montana had ranked 17, but in 2012 they moved up to the number one spot with 530 startups per 100,000 adults. According to the report many startups are sprouting up near Bakken fields in support of it’s oil industry. 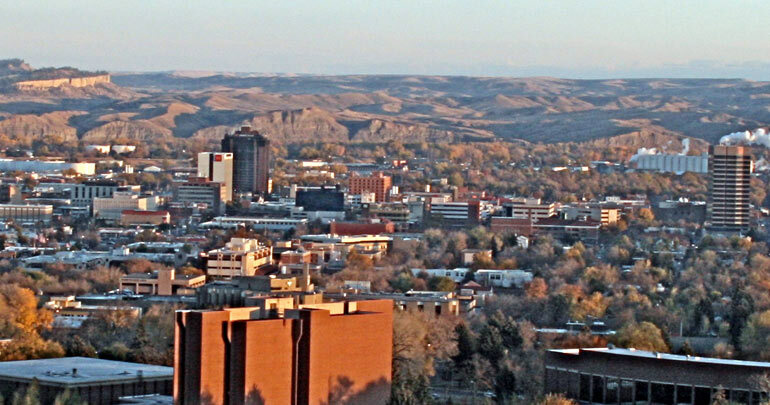 Montana State University is a driving technology hub of activity in Bozeman, Montana, where startups have found funding opportunities and incubators. With a little help from startup guru Brad Feld, Montana held their first Startup Weekend event back in December in Missoula, Montana. We also got to meet Sri Vellanki, a Montana woman who abandoned her career to launch a startup called TechTips, which was featured in the Eureka Park section of the International Consumer Electronics Show (CES) back in January. Entrepreneurs are attracted to Montana because it has no local sales tax and a low cost of living. Check out this Florida startup which can tell you how high you jumped. Last year at CES 2012 we saw a North Carolina startup called TextRings in Eureka Park. As you can tell from our narrative we weren’t very impressed and if they’re still in business they’ve had minimal to no traction as far as we can tell. The problem they were trying to solve is still a big issue however they were trying to solve it with rings that looked like you would find them in the treasure box at the dentists office. Couple that with the astronomic cost of entry and it was destined to earn our “least favorite startup” of Eureka Park in 2012. Fast forward to 2013 and we got to meet Sri Vellanki. Not only has Vellanki had a pretty distinguished career to date, she’s a beautiful young woman entrepreneur and she’s from Montana. Here Montana startup called Tech Tips, is similar to Text Rings in that she is looking to solve the problem of input on smartphones and tablets, specifically for women. 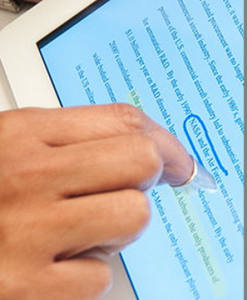 Tech Tips is a product that fits on the finger tip, rather than in a ring format, and allows a natural extension to ones fingers for the specific purpose of input. Strokes are more natural because they feel natural. It’s almost like using your actual finger for the input. Naturally when we first arrived at the Tech Tips booth we were surprised to see something similar to Text Rings, but I can assure you that this is definitely a much better product with a great founder. But in the infamous words of the late great Billy Mays… That’s Not All! Vellanki has a second product she is just now introducing as well. This product is called Nano Nails. Think acrylic nails that are made with the same kind of coating that’s in those gloves we use for our smartphones and tablets to input data, draw pictures and navigate. After talking to several women the reaction has been “That’s Awesome”. Both solutions function better than a stylus and certainly better than Text Rings, check out our interview below and for more visit Tech Tips and Nano Nails here. Sure Montana isn’t the first state that we think about when talking about startups and startup communities, but obviously there is something going on there as well. The most exposure many “techies” have gotten to Montana was the episode of Big Bang Theory where Sheldon Cooper runs away to Bozeman Montana after his apartment is robbed. Well according to Bob Clay, the lead organizer for Startup Weekend Missoula, and the CEO of SameSky Systems, he personally accepted a challenge from startup community evangelist Brad Feld, when Feld was speaking at a Montana Programmers Meetup over the summer. Feld told the programmers that they should do a Startup Weekend event in Montana. A week later, Clay reached out to Feld who then put him in touch with Startup Weekend CEO Marc Nager. Startup Weekend is the Kauffman Foundation backed, “official” three day hackathon event to build companies. During a 54 hour period beginning Friday evening and running through Sunday evening, founders, entrepreneurs, coders, developers, business development people and others pitch ideas for companies and than work all weekend to make viable business models. The Startup Weekend organization has put on or helped facilitate hundreds of Startup Weekend events across the country and around the world. Greg Gianforte, the founder of Right Now Technologies, a startup that sold to Oracle for $1.8 billion, will be the keynote speaker for Startup Weekend Missoula on January 18th. Registration will begin on Friday evening at 6:00pm at The Life Long Learning Center, 310 Curtis Street, Missoula MT 59801. That will be followed by great networking dinner where attendees will be able to size up the competition and the possible teammates for the weekend. The Keynote presentation will begin at 7:15pm. At around 8:00pm the “Friday Night” pitches will begin. We’ve covered a lot of startup weekends and you can see plenty of Friday night pitches here at nibletz.com. Saturday, the community coaches come into play. These seasoned entrepreneurs and local business folks are there to help answer questions for each team and provide ideas and suggestions. The coaches for Startup Weekend Missoula are; Michael Fitzgerald, CEO of Submittable; Wes Hunt, Founder of Armigent; Jason Lengstorf, Senior Developer, Copter Labs; Trevor Loy, General Partner, Flywheel Ventures; Clyde W. Neu, Venture Partner; Doug Odegard, Consultant & Software Engineer; and Harold Shinsato, Senior Software Dev Engineer, SAP. Sunday is the day the teams put the finishing touches on both their products and their presentations. At 5:00pm and not a second later, the selected teams will have five minutes to pitch their idea and have a brief Q&A with the judges. Startup Weekend Missoula judges have not been announced yet. Last week Startup Montana joined the Startup America partnership. Now entrepreneurs and startups in Montana can get the same great benefits that over 7900 startup members of Startup America enjoy. The Startup Montana partnership was launched at “Montana Innovation and Entrepreneurship Day” on June 21st. The event was held at the University of Montana Gallagher Business Building in Missoula Montana. Startup Montana will pull together entrepreneurs of all types from across the state who have firsthand knowledge of the challenges that Montana startups face, bring attention to these challenges, and connect entrepreneurs to private and public support organizations to help address startup challenges. Startup Montana has been connecting with Montana startups and has already amassed a number of resource providers to support entrepreneurs. “Montana has significantly accelerated it’s entrepreneurial efforts, and I am very excited to see all of the amazing young companies in the state gain access to resources that will help them succeed. I encourage all startups in the state to join today,” said Scott Case, CEO of the Startup America Partnership. The Startup America Partnership is a nationwide movement focused on providing startups access to corporations, investors, and services that help startup companies grow. Through Startup America Partnership’s national network, Montana’s entrepreneurs will gain access to business resources throughout the state and across country that will enable them to grow faster, be more competitive, and create more jobs. Startup Montana will hold events and provide valuable resources to entrepreneurs and those looking to launch startups in the state of Montana. The Startup Montana partnership is led by Bob Clay.